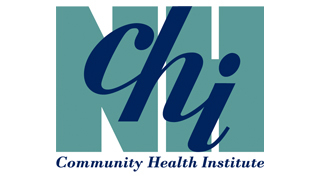 The New Hampshire Community Health Institute (CHI) was established in 1995 by the New Hampshire Department of Health and Human Services with funding provided by the Robert Wood Johnson Foundation to provide access to technical expertise and other resources to strengthen New Hampshire’s public health and health care system. Located in Bow, New Hampshire, the CHI has 35 staff members serving local and state agencies, community-based coalitions, private foundations, as well as federal agencies. A key program of CHI is the NH Center for Excellence in Substance Misuse Prevention and Treatment. Established in 2009 by the NH Bureau of Drug and Alcohol Services, the work of the Center initially focused on the development of regional prevention networks. With diverse public and private funding sources, the Center’s work has since expanded to include many aspects of prevention, early intervention, treatment and recovery. The Center is playing an essential role in addressing NH’s current opioid epidemic by supporting the implementation of best practices such as Screening, Brief Intervention, Referral to Treatment (SBIRT) http://sbirtnh.org/, Medication Assisted Treatment, web resources such as the NH Treatment Locator, and data analysis and technical assistance support to policy makers and providers. As part of this work, CHI recently launched “Anyone. Anytime.” a statewide multi-media campaign to promote services and resources for people and families experiencing addiction. NHCHI's goal is to provide access to expertise and resources to strengthen New Hampshire’s public health and health care system. Get in touch with the New Hampshire Community Health Institute. Learn about the New Hampshire Community Health Institute’s and the New Hampshire Division of Public Health Services’s (DPHS) cross-sectoral partnerships to help local businesses with implementing the Guide for Community Preventive Services.